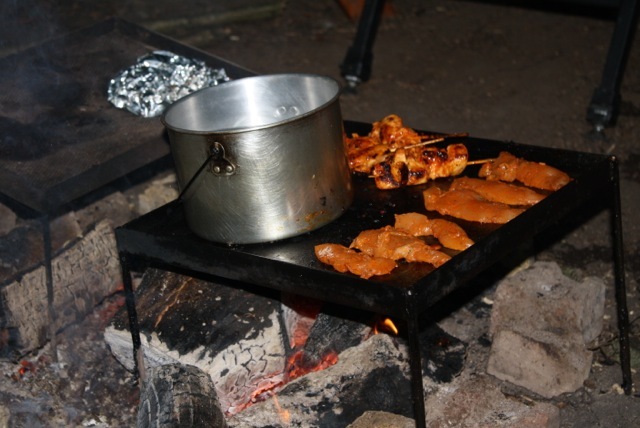 With the long winter evenings getting shorter, we at Eco Camp are looking forward to getting under canvas again and enjoying a bit of Spring sunshine cooking on our open fires in the woods. That glorious smell of egg, bacon, sausage, beans and tomato wafting into the tent and the kettle on for a mug of tea or fresh coffee. With the mobile switched off and little regard to the time, we can’t wait to sit around the picnic table under the shade of a tree eating a hearty breakfast. 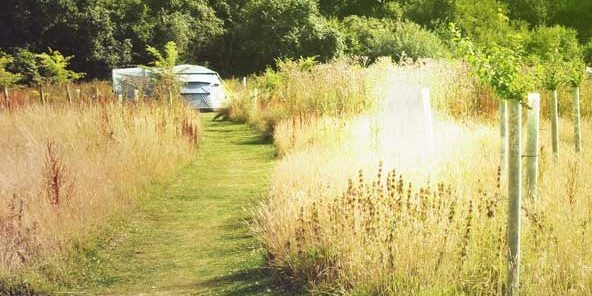 Our Wild Boar Wood Campsite is close to London. 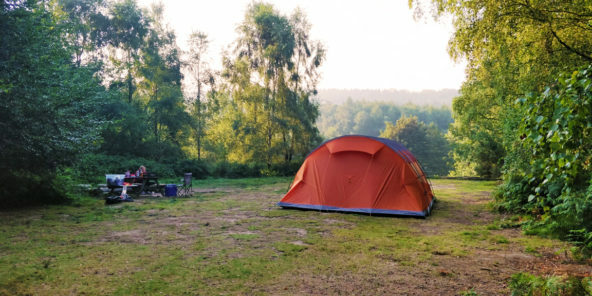 We offer camping in the Sussex High Weald in a five acre wood, with fully equipped bell tents, open campfires, wood burning shower and an ecological ideology. We think we are one of the best campsites in Sussex and some of our campers say we are the best campsite in the UK.